Reclaimed cobbles from city streets and old mill yards generally are 6-7″ deep. These cobbles were produced to withstand the test of time and they have. Once we reclaim them we palletize them and can ship them literally all over the world. 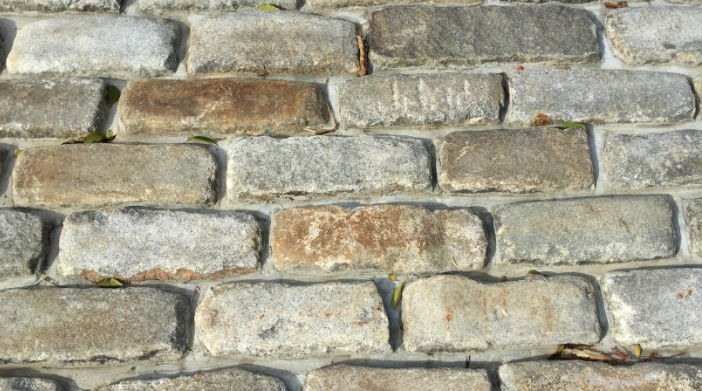 I am sure it is no surprise to anyone that reclaimed cobblestones are heavy and that when shipping them long distances the more weight the more cost there is per square foot. This is the primary reason we offer our cobbles sliced to approximately 1″ thick or 2.5-3.0″ thick for dry set applications. This can have a tremendous impact on the landed cost of the cobblestones whether they are coming from Europe, or the New England Area. When installed properly there is no way to even tell that the cobble has been cut down in size, all of the beautiful wearing is left in tack. 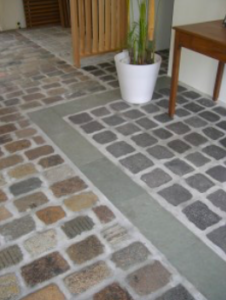 Let us quote you on a sliced cobble for your next project.